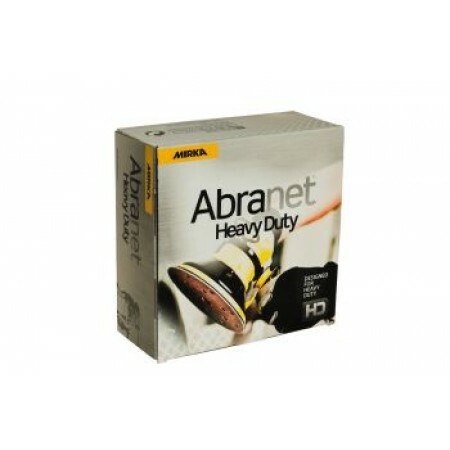 Abranet ACE HD uses a nylon mesh backing material to create a more consistent abrasive surface. As a result, Abranet ACE HD produces a more consistent surface finish more quickly and because it also has excellent resistance to edge wear and clogging, it lasts longer too. Resists clogging and delivers long lasting performance. Designed for optimum performance on both wet and dry sanding. Excellent durability - retains its high performance sanding properties for far longer, especially on harder applications. Outstanding performance on demanding applications. Abranet ACE HD is available in a variety of disc and sheet applications for extreme heavy duty applications in aerospace, composite and automotive sectors. The exceptional edge wear and durability is ideal for situations where conventional abrasives fail.